April 16th at noon, a community member posted on our group page that his son was a victim of theft. 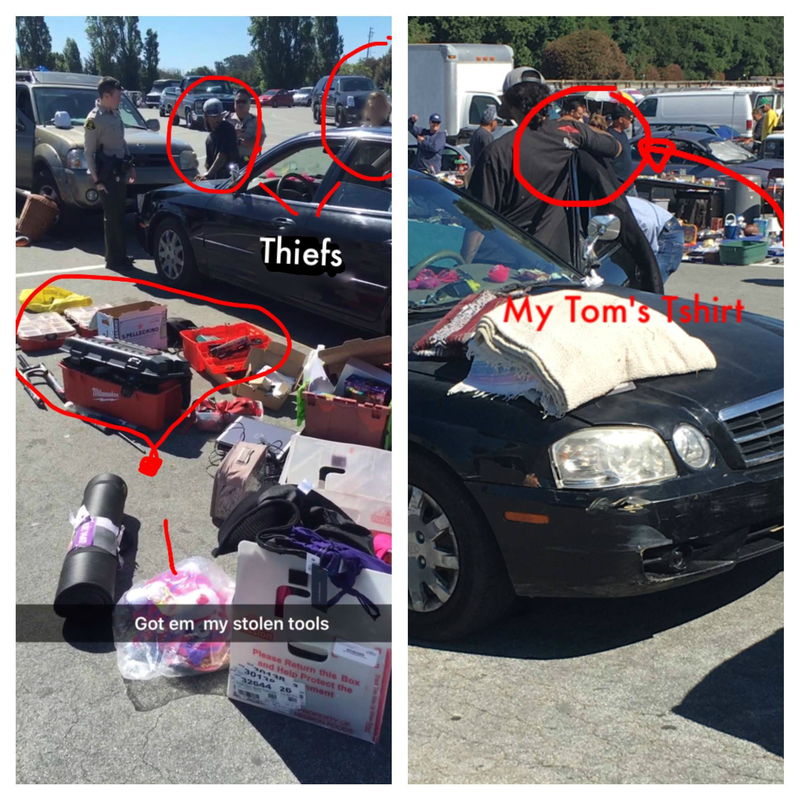 A Good Samaritan who had read the post on our Facebook group page spotted the stolen tools at the Santa Cruz flea market today (April 17th) and messaged one of our group admins. The Facebook group admin contacted the original poster with the info & space #. He in turn called his son who then notified the Sheriff’s office to report as he made his way to the flea market. His son was able to get some of his tools back and the alleged thieves were taken into custody (24 hours after the original post!). One of the thieves had the nerve to be wearing the business logo t-shirt from the owners that they stole from the truck! See something, do something. Thank you to the TBSC community member who took action to assist in the recovery of the stolen goods! Awesome! Once again the amazing folks at Take Back Santa Cruz make it happen. What’s cool is the “folks” are 13,000 community members.